According to the i75 Plan the area, which includes Monroe, is aging, family oriented and growing. 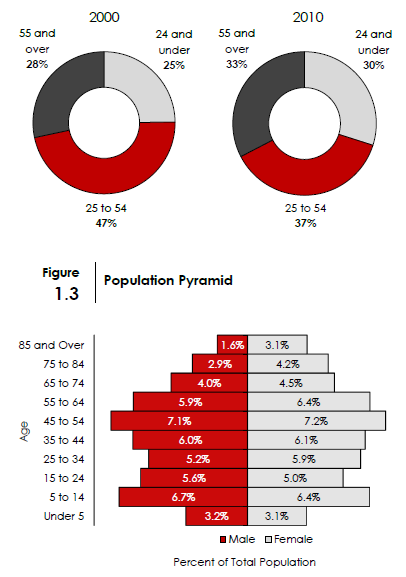 in the population close to the 45-54 age range. largest age group in 2010. What exactly does family oriented mean? Is that just suggesting people want to start a family? That's a good question. I think it is based on how many children live within the area more so than those wanting to procreate. However procreation and children would have a statistical relationship.